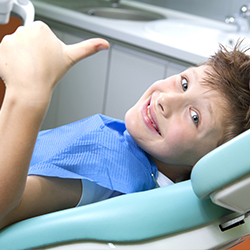 If oral cancer is detected early enough, your survival rate increases from 80% to 90%. 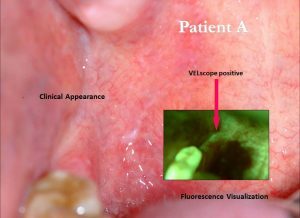 The velscope is the only system that can detect oral cancer below the surface, greatly increasing a patients survival rate. It works by tissue florescence which is also the technology currently used for cervical cancer detection. It is completely non-invasive, pain-free and inexpensive. So getting tested is easy and affordable! Oral cancer is no longer limited to middle-aged smokers and alcoholics – it now affects the general population and the longevity rate after detection has not changed because by the time we see it in the mouth, it is too late. Stop by 712-A Trenton Rd Langhorne, PA for your pain-free test! Did you know that 1 American dies of oral cancer every hour of every day? 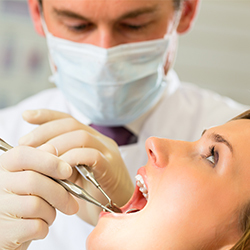 Oral cancer is one of the leading cancers out there, and the survival rate hasn’t decreased in 50 years. Take preventative measures today with velscope detection services! 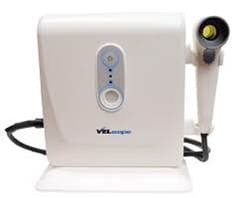 Velscope detection is the only current procedure out there that can detect tumors below the surface, when they are most easily treated. The procedure itself is non-invasive and uses fluorescence technology, which is also used to detect lung cancer and cervical cancer. How does it work, exactly? The fluorescence lighting will detect additional blood flow levels, which indicates the presence of a tumor. In the past, alcoholic men who were smokers in their 40’s were the demographic for this cancer, but now the general population is affected as well. If the cancer is caught in early stages, however, the survival rate increases to 80%-90%. Get tested today to give yourself complete peace of mind!